Are those umbrellas I see, no rain here, but we'll pay the price when it comes. What a pretty park and I love the quaint architecture of those building in the background - very unique. To be sitting there , under an umbrella, on the bench near the pond...Soooo romantic! beautiful, from the polished reflections of light, right down to the duck. A time for reflection here. Overcast, dreary, a time to think. Imagine to live in one of those apartments!Amazing view! This is an interesting one, Clueless. 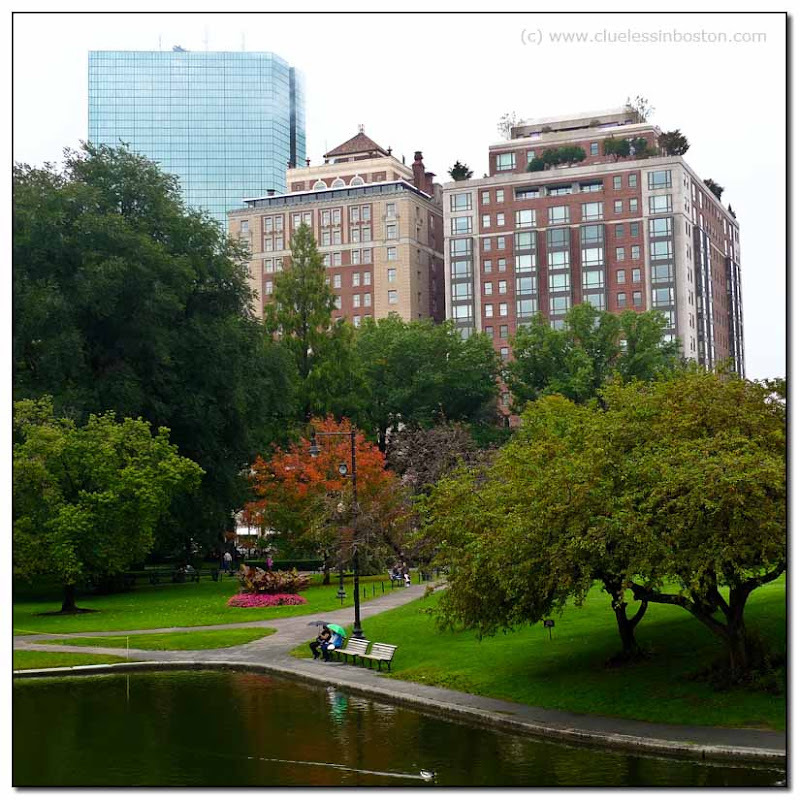 I know the hotels and the Hancock tower, and I know the Public Gardens, but when I am in the Public Gardens, I look at eye level, not up. I don't remember seeing the buildings while in the park. I wish I were sitting there on that bench! Lovely view even if there is a bit of rain! This is a beautiful shot - I love the Public Garden!